Decreases, like increases, help shape your work into something more than just a straight piece. I explained in the last lesson how working an increase was just adding an extra stitch to increase your total stitch count. 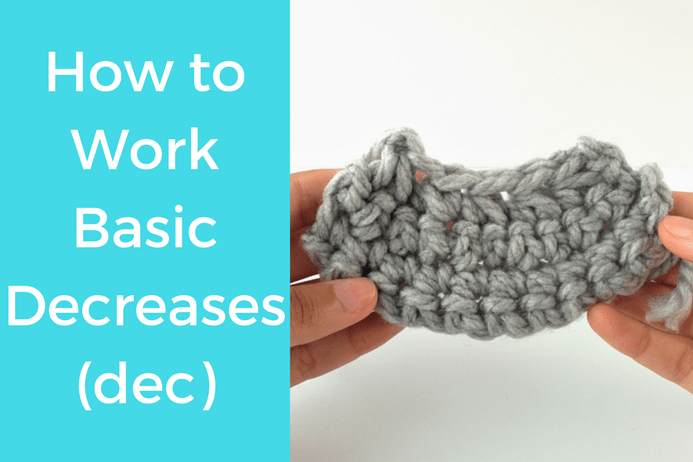 Decreases are the same, only you’re eliminating a space so your stitch count goes down. This is really simple and there are 2 ways to do it so I’ll you about the first and show you the second (my favorite way). The easiest and quickest way to decrease is to just skip one space and work your stitch into the next. That is it. It works well and gets you the right stitch count, but it leaves a gap in your work that I don’t like. I don’t have a picture of this to show you but just go ahead and give it a try. You’ll be able to clearly see where you skipped one space because there’s a hole over that space. See how that extra loop closes the gap and STILL decreases your stitch count? 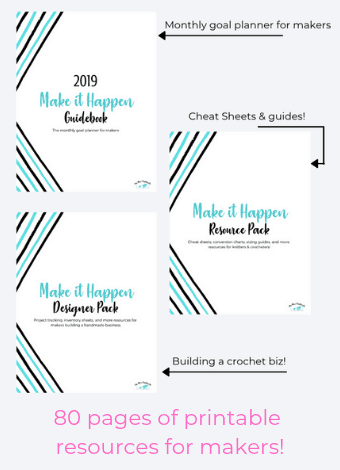 Let’s go step by step so you can follow along now. For this sample, I’m going to decrease my 10 stitches to 5 stitches. 1. 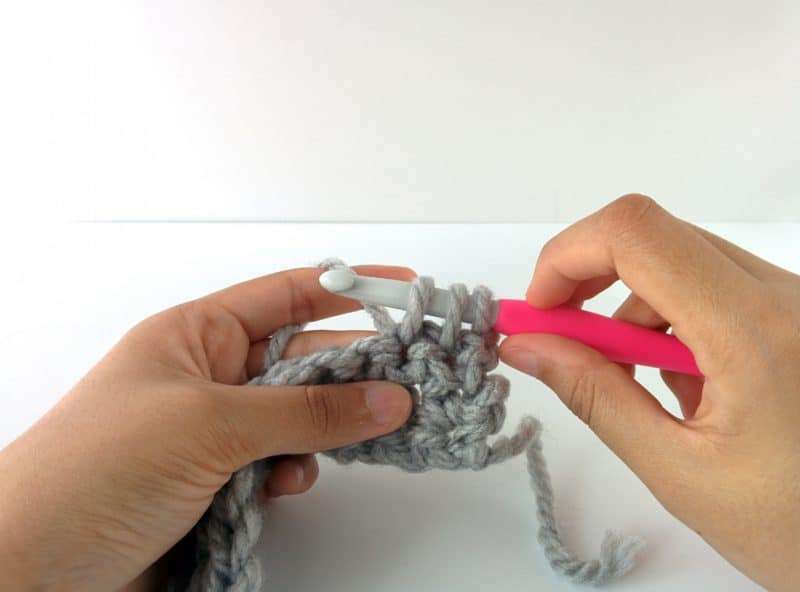 Start by inserting your hook into the space and pulling up a loop. 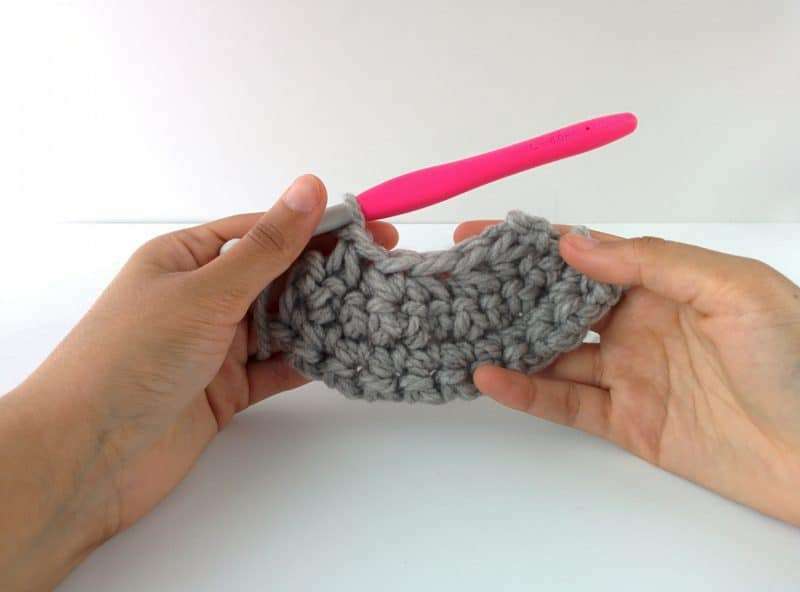 Insert your hook into the next space and pull up another loop. You should have 3 loops now. 2. Next, yarn over and pull through all three loops, similar to a half double crochet. See how that took 2 spaces and made them into just 1? That’s your decrease! 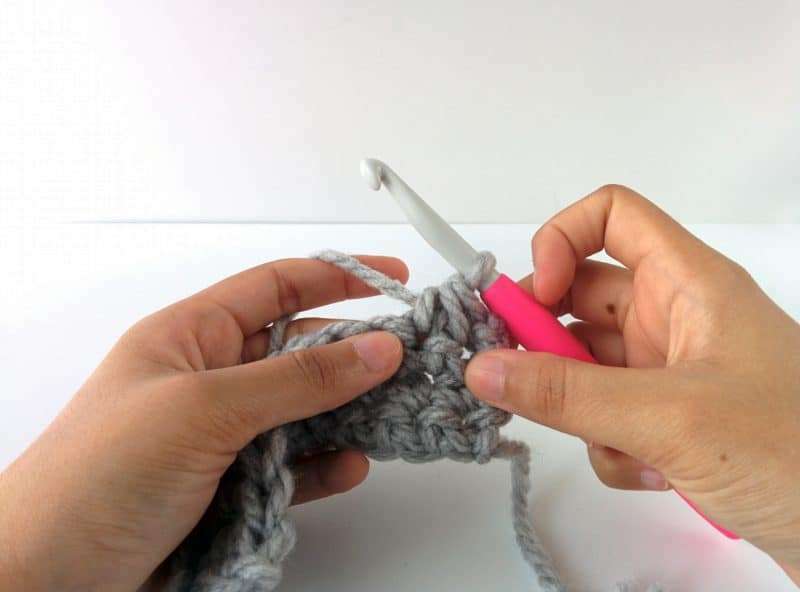 Continue this down the row and you’ll have decreased to 5 stitches. Now my piece curves inward because I have fewer stitches in the last row than in the first. That’s all there is to it! I was working in SC for this sample, but it would work the same if you used any other stitch. 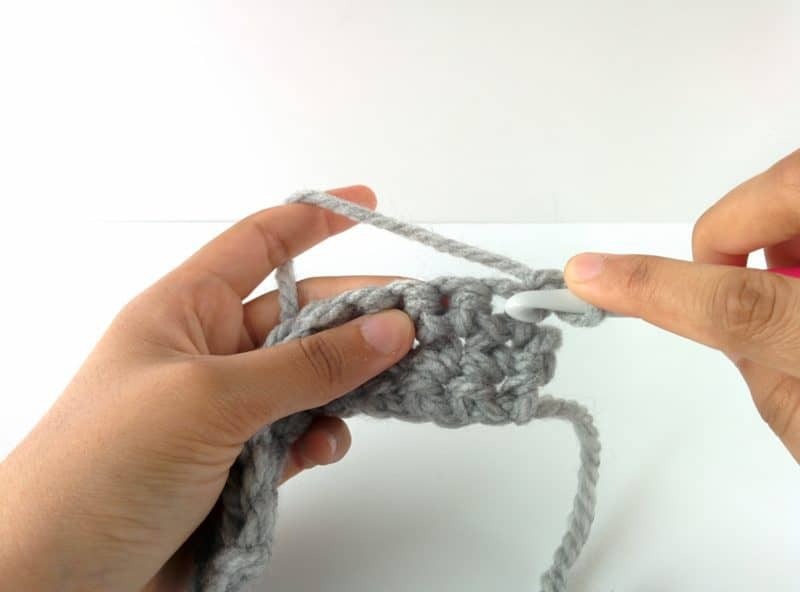 Just work the stitch as you normally would into one space, but don’t finish it by pulling the last loop through. 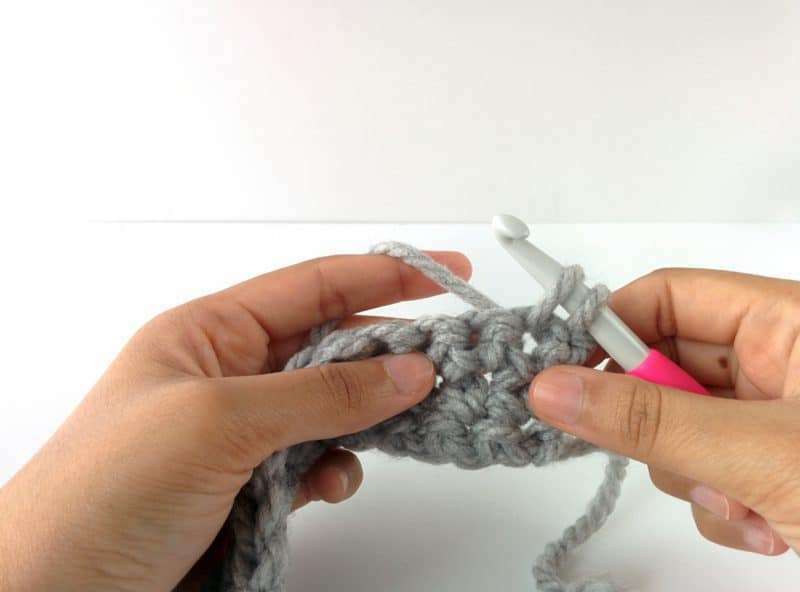 Leave that loop on your hook and work the next stitch, then you can pull through all three loops. A DC2together is worked that way; you work one DC, but don’t finish it, then work another and pull through all three loops bringing the 2 DCs together into one. If you look at the wording of the stitches, it will almost always help you out! Thanks so much for reading and I hope you guys are making progress with these lessons! I’d love you shared you swatches and milestones with us over in the FB group so we can all celebrate and learn together. 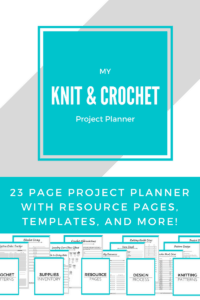 There always so much to learn with crochet, even if you’ve been at it for years!